Give new meaning to "ballet flat" with the chic style of the CL by Chinese Laundry Smile. 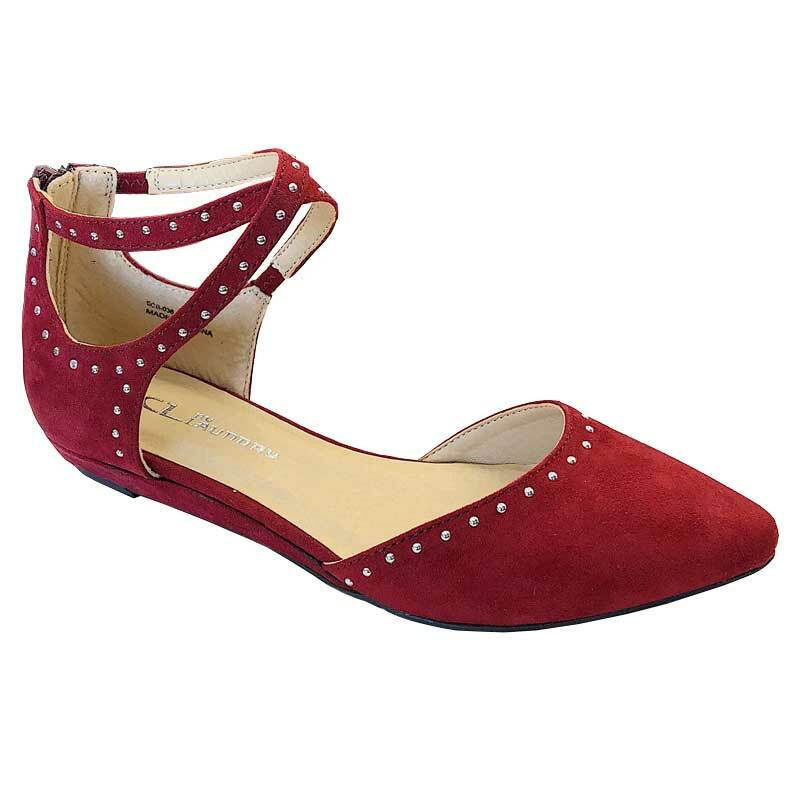 This women's ballerina-inspired style features a faux suede upper with criss-crossing straps and stud detail. The pointed toe helps elongate the legs, and a lightly padded insole keeps you feeling comfortable. The synthetic outsole is textured to give you traction where ever you go. Paired with everything from flowy skirts to your favorite jeans, the CL by Chinese Laundry Smile certainly provides endless possibilities for style.